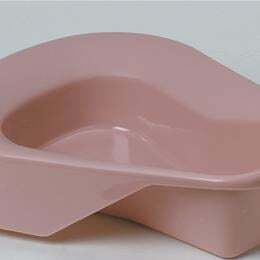 Pontoon Bedpan, Stackable: Each Is Saddle-Shaped With A High-Rolled Front And Graduated In Both Ml And Ounces (To 40 Oz./1200 Ml). Features A Patented Non-Stick Surface. Mauve.